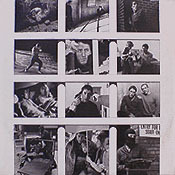 ORIGINAL SOUNDTRACK OF THE WHO FILM "McVICAR"
T he Who were fast becoming a celluloid band: The Kids Are Alright, Quadrophenia, and a showcase for the talents of Roger Daltrey, McVicar. I didn’t see the movie, but if Daltrey’s acting performance was anything like his vocal performance on “Free Me” then it must have been pretty good. In the eclipse of Keith Moon’s passing, Who fans were scanning the nightsky for anything luminescent, including a soundtrack that promised to reunite the remaining members of The Who (as this did). The bulk of the score are pleasant songs written by Billy Nicholls and Russ Ballard, sung by Daltrey in his own inimitable style, with a pair of instrumentals thrown in for good measure. Because Roger’s voice is so instantly evocative of The Who, it doesn’t take much time before tracks like “Free Me,” “McVicar” and “Bitter And Twisted” begin to sound like that band’s more modest epics (think The Who By Numbers). McVicar’s not as good as that, largely because the band chemistry simply isn’t there. It’s a professional affair, written around the storyboard, and the final product does sound like individual performances spliced together. Most of the electricity (and there is some) comes from Daltrey’s voice and arrangements scored with a dramatic end in mind. Despite the participation of Kenney Jones, there is no audible foreshadowing of Face Dances (I couldn’t even tell you what song he or Pete Townshend play on). 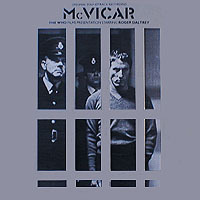 But McVicar delivers more than most soundtracks, and actually holds its own with most of Daltrey’s solo elpees. His catalog promises the skin of The Who, while Townshend’s work is more about discovering what’s underneath the skin. If your interest doesn’t extend past skin deep, Daltrey’ll do ya just fine. 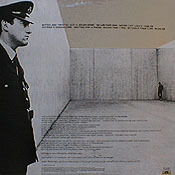 That the soundtrack produced two hits, “Free Me” and “Without Your Love,” speaks to the power and the void. Still, McVicar is no less appetizing than the new McNugget: it’s got meat, tenderness, a little spice, and comes in a thin cardboard container.